As we celebrated Women’s History Month in March, we tracked 5 prominent women that have made history in one of the most competitive industries in the world. The progression for women in the workplace has fortunately started to gain momentum, but the advancement for women in tech has moved more at a snail’s pace. And while society as a whole is taking steps forward, the statistics don’t lie for females in this field. In tech giants, like Amazon, Apple and Facebook, women still remain a minority. An infographic from a 2018 study pragmatically titled “The Tech World Is Still A Man’s World”, outlines the percentage of female employment in these major companies. While these numbers seem a bit discouraging, five empowering females didn’t let stats stand in their way of trailblazing paths in this male-dominated, tech-powered world. Here are the five, in no specific order, incredible women in tech that have made waves for women in the industry while others have felt frozen ground. Reshma Saujani, CEO of Girls Who Code, is no rookie to relentless hard work, inevitable misfortune, and impassioned persistence. In the past year, Saujani has received quite a bit of media coverage concentrated on her initiative to continue closing the problematic gender gap. With articles that have received 50+ total shares in the past 12 months, 48% of the conversation surrounded Saujani’s efforts focused on gender equality. She is also portrayed as an advocate for women as she celebrates failure and encourages young girls across the nation to pursue careers in technology. 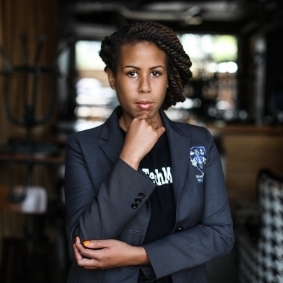 After Forbes branded her as the next Steve Jobs, 86% of the most shared conversation since 2017 buzzing and hailing her as such has not only fueled the work of Angel Rich, CEO and founder of The Wealth Factory, it has also allowed her to continue teaching kids about personal finances and entrepreneurship on a global scale. While educating America’s youth on financial management and literacy, Rich has not only developed the only mobile credit game application in the world, called Credit Stacker, she has also been featured in countless articles acknowledging her innovative and entrepreneurial mindset in technology. 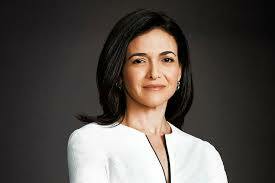 At 48 years old and with a networth of $1.63 billion, Sheryl Sandberg is not just the COO of Facebook. She is the only woman on Facebook’s management team and one of two women that sits on Facebook’s Board Of Directors that consists 75% of men. With a cumulative total of 68K earned media shares this past year regarding her career, her philanthropic efforts, her accomplishments and more, Sandberg has become a prominent woman in the industry. She is not only a leader in the world of social media, she is also a role model for business women and young professionals. To learn more about her determination and prowess in technology, you can read her book Lean In: Women, Work, and the Will to Lead. Most notably recognized for leaving her job at Slack to pursue her current role as Senior Engineering Manager at Patreon, a membership platform, Erica Baker has an an impressive career in information and technology. Previously employed in five distinct positions in her 9-year run at Google, she currently sits on the Board of Directors of Girl Develop It. As a big player in the industry, Baker is a highly esteemed advocate for inclusion in the workplace. While 73% of the media coverage from 2017 – 2018 includes Baker’s support for diversity in tech, she proudly supports female leadership as she continues to dismantle the invisible, yet potent wall that separates those that are minorities in the industry. The title CEO is neither unfamilar nor unexpected of Meg Whitman. As President and CEO of eBay 1998 – 2008, President and CEO of eBay, CEO of HP 2011 – 2015 and most recently CEO of Hewlett Packard Enterprise 2015 – 2018, Whitman has experienced an impressive career. And while Whitman has held top executive positions for the past two decades, she also recently announced her retirement. Succeeded by Antonio Neri, Whitman has made sure to break the glass ceiling for women in tech time and time again throughout the span of her career. Renowned for expanding eBay from $5.7 million to $8 billion in sales, just in the past 6 months, Whitman has had 1,000+ articles circulate about her. She is one of the highest-profiled women in the Silicon Valley and in the industry, according to NBCNews. As we look to these women for inspiration, recognize that times are changing. According to a 2015 article published by SelectUSA, “The United States has the most advanced software and information technology (IT) services industry in the world.” Globally, this industry is currently estimated at $3.8 trillion and accounts for 10.5 million jobs. Young female professionals and C-suite executives alike are taking on roles that have historically been male-dominated. There are boundless opportunities for women in tech to make an impact and pioneer their own path.